Offers information and hands-on activities in ocean, watershed, technology and marine careers topics; for students of all levels. Regional field experiences for students and teachers. 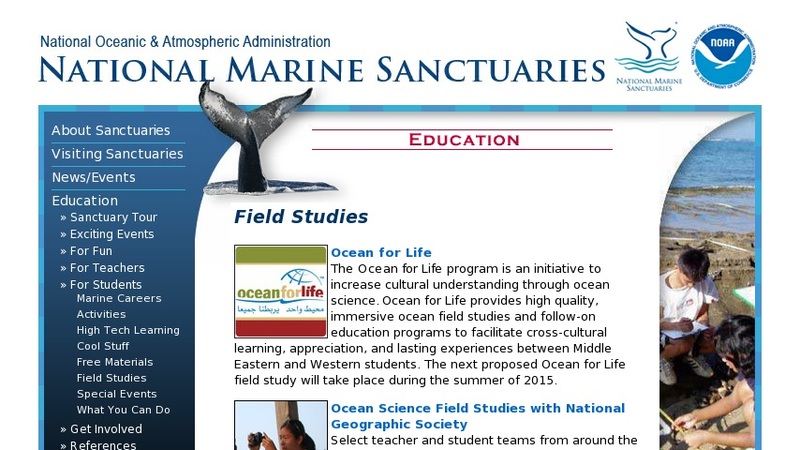 On-line resources include: virtual Sanctuary fieldtrips, virtual expeditions and discovery classrooms. Some address national standards and state standards.